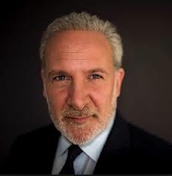 Peter Schiff On The Markets: Federal Reserve: Why Would They Want To Take A Chance Of Raising Interest Rates Today? Federal Reserve: Why Would They Want To Take A Chance Of Raising Interest Rates Today? Why would they want to take a chance of raising interest rates today knowing, (A) how weak the data is, (B) knowing that the markets could tank as a result of that rate hike. That is the last thing they want. Then what are they going to do? How are they going to reverse the decline?